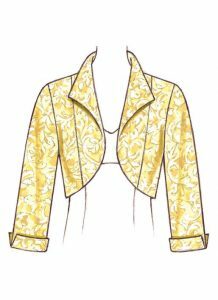 Those of you who have been following my blog will know how much I like the Kwik Sew bolero jacket no. K3736 so I thought I would try to transfer that collar style to a dress. Pattern drafting: I retrieved my basic bodice block which I then copied onto pattern paper (purchased from Morplan). 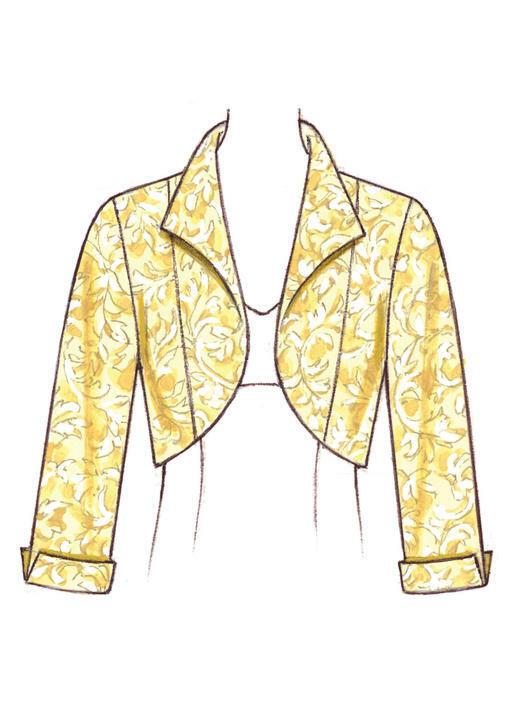 With some ‘finessing’ I then traced off the style line of the collar from K3736 onto the front bodice for a shirtdress. I used my standard short/cap sleeve pattern and slightly adapted the back bodice so that the shoulders would line up with the revised front bodice. I measured the width of each bodice and ensured that the waistline of that old favourite, the skirt from Betty by Sew Over It would also fit this new button-front bodice. Materials: I used approximately 3¼ yards of 60 inch wide Blue & White check print poplin that I bought sometime earlier this year from Franklins in Salisbury. The collar and front facing were interfaced with medium-weight fusible Vilene ®. There are 4 plain Blue fish-eye buttons for the front fastening that came from my button stash. Construction: I stitched the bust and body darts in front and back bodice pieces. Applied a back neckline facing with my maker’s label prior to stay stitching the neckline of the back bodice. I stay stitched the neckline and shoulder line of the collar on the front bodice. Applied fusible interfcacing to collar/facing pieces. Repeated the stay stitching for the collar/front facing pieces. Attached the collar before stitching the side seams and inserting the fully-self-lined short sleeves. All major seams were pressed and overlocked before proceeding to the next step. Checked the fit and marked up the buttonholes. Stitched the buttonholes and then attached buttons to correspond. Stitched the side seams of the skirt and overlocked the hemline. Attached the skirt to the bodice with straight stitch and then overlocked all seam allowances together. Pressed the skirt up towards the bodice. Machine-stitched a ½inch hem. Gave the dress a final press and dressed ‘Dolores’ (the mannequin) ready for photography! Final analysis: The dress has a distinctive ‘vintage’ feel, especially as the fabric recalls my old primary school dresses (tho’ they had White collar and cuffs on the sleeves). I am very pleased with the fit of this bodice and will definitely be making again. Next step is to make a co-ordinating belt. Since completing the dress I have ‘tweaked’ the pattern slightly by extending the shoulders and re-drawing the armsyces front and back. This style of bodice and collar is very versatile as it lends itself to a variety of enhancements; top stitching, embroidery, addition of braid, ric-rac trim or lace, addition of patch pocket(s). In another version the skirt could be made as a full gathered dirndl instead of the circle. For the future I intend to extend the length of the bodice so that I can make a blouse version with a shaped hem to wear over trousers. Watch this space.